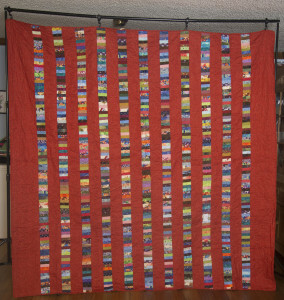 This quilt doesn't look like it has a lot to it but the strips of colorful fabrics are made to resemble paper money. 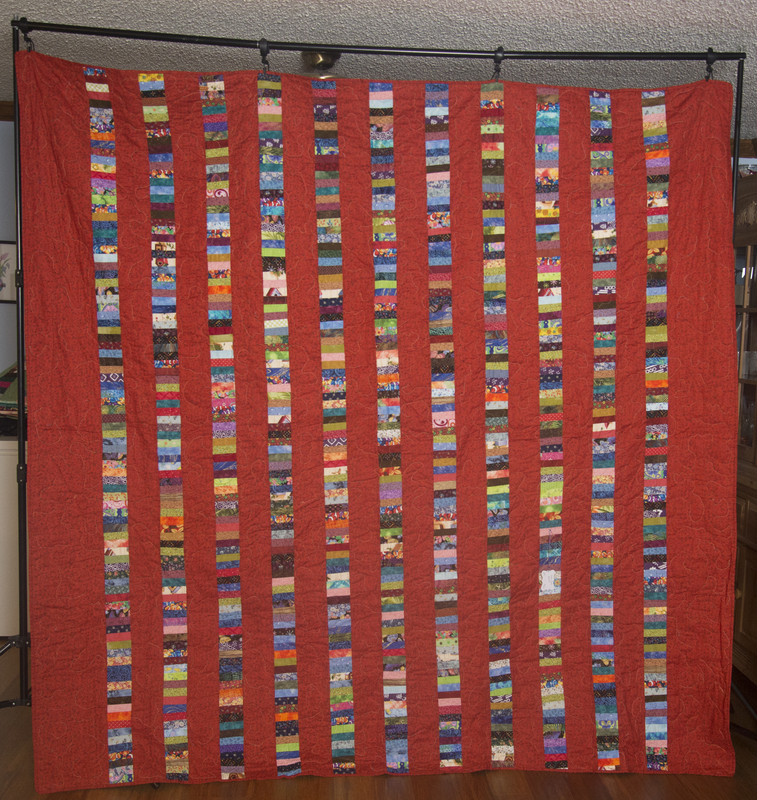 This is a smaller queen size quilt. 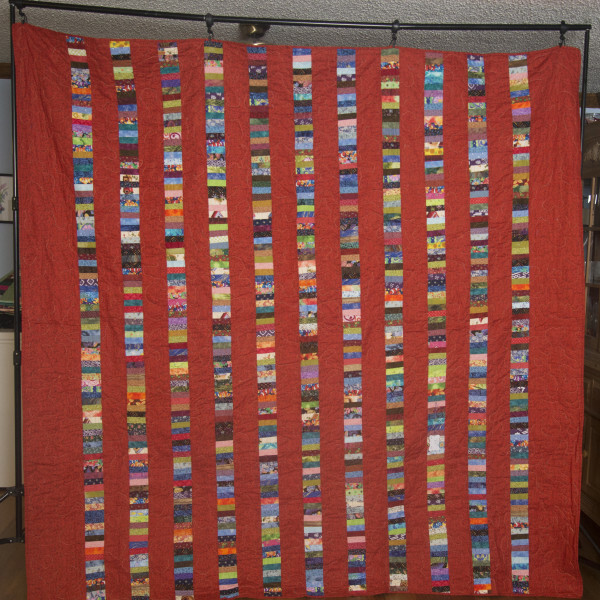 It measures 93″ X 90″. All fabrics used are 100% cotton with a 80/20 batting. It sells for $645.